Jed Reports Back from the 2015 Arthouse Convergence! 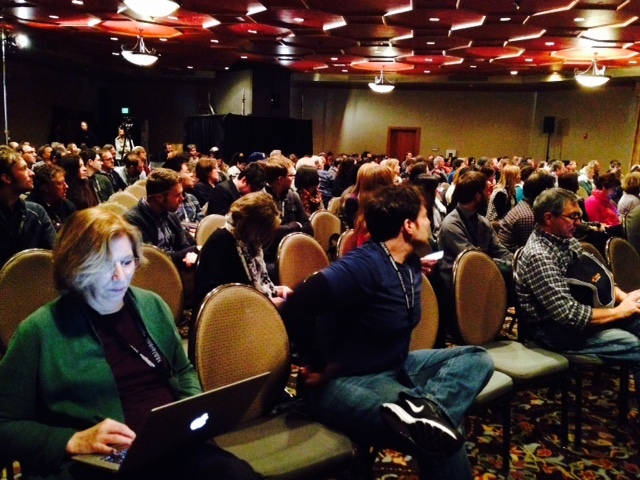 Audience attending Keynote Speech at Arthouse Convergence 2015. Photo by Jed Dietz. MFF Director Jed Dietz is currently on the ground in Midway, UT attending the Arthouse Convergence, an annual gathering of independent, community-based, mission-driven film exhibitors that immediately precedes the Sundance Film Festival. This is a photo from the Convergence where Anne Thompson of Thompson on Hollywood gave the keynote speech and mentioned Maryland Film Festival.